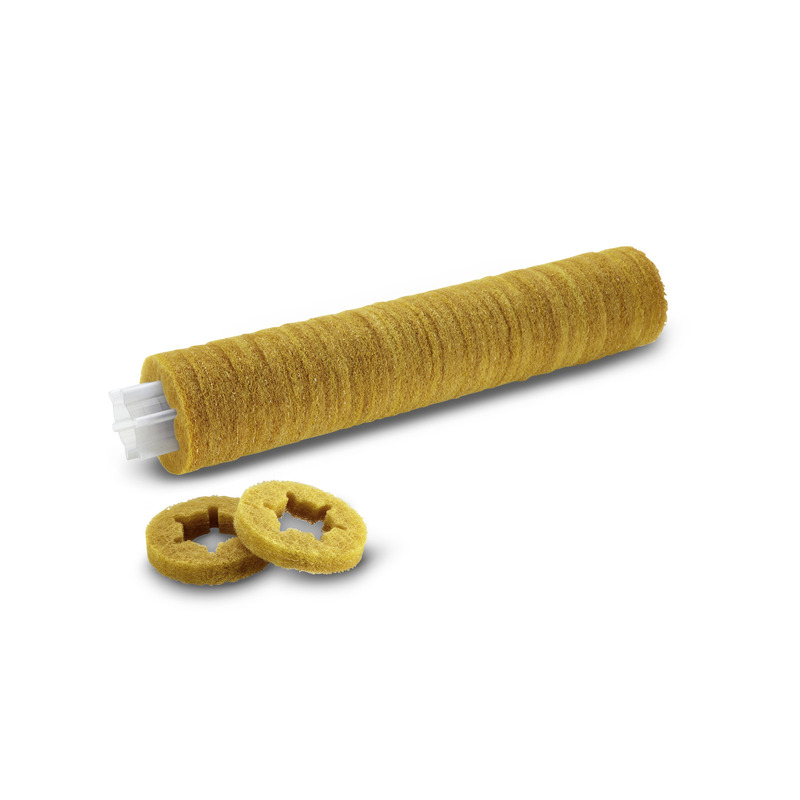 Roller pad on sleeve, soft, yellow, 400 mm 63697240 https://www.kaercher.com/tn/accessory/roller-pad-on-sleeve-soft-yellow-400-mm-63697240.html Roller pads pre-assembled on sleeves, for polishing and cleaning non-textured floors. In conjunction with pad roller shaft 4.762-228.0. Roller pads pre-assembled on sleeves, for polishing and cleaning non-textured floors. In conjunction with pad roller shaft 4.762-228.0. Yellow, pre-assembled on sleeve, 400 mm long, 96 mm diameter.